How to grab a big share from the “Super Bowl” during the entire month of Black Friday holiday sales. With the onset of November month, we are entering into the holiday season 2017. Historically, holidays in November come in the last week of the month beginning from Thanksgiving Day to Black Friday and ends on Cyber Monday. The peak week of the Black Friday holiday season is considering as the “Super Bowl’ for retail businesses operating in-store or online. The total retail sales (online + offline) in the second quarter of 2017 was $1,256.20 billion. The share of retail eCommerce during the same period was $111.50 billion. The figures are highly promising for the merchants who are operating pure e-commerce and Omnichannel businesses as well, which are running brick-n-mortar as well as online shops with the e-commerce websites. It is true that eCommerce trends are growing in the USA thanks to the mobile revolution, but what about holiday sales? A rise in online sales and growth has reported on Black Friday 21.6% compared to Thanksgiving Day 11.5%. A decline has reported in the growth on Cyber Monday 10.2% compared to Black Friday 21.6%. The holiday sales figures are in billion and e-commerce as well as an Omnichannel business have a big challenge that how to grab a big share from the “Super Bowl” during the entire month of Black Friday holiday sales. 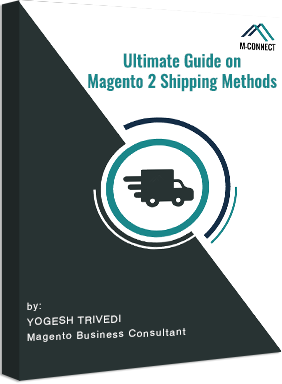 If you are an e-commerce merchant and interested in our eBook, you may find following things for the next Holiday Sales. The significance of Pre-winter Holidays at Commercial Eyes: How holidays are big opportunity to bite a big chunk out of the rush of people to buy? Reports on 2016 Holiday Sales: The facts and figures describe everything happened during previous holiday seasons. Last Year’s Online Holiday Sales Trend: What was the behavior of Holiday Shoppers during previous holiday sales? What were the preferences of holiday shoppers? 2017 Online Holiday Sales [Prediction]: Based on the previous data, We have concluded the holiday sales figures for the present 2017 season. 2017 Online Holiday Sales Trend: Considering the shopping trends of people during previous holiday sales, We have illustrated upcoming trends for holiday sales. Preparing eCommerce Stores for Holiday Season: We have given the feasible checklist for e-commerce merchants who are preparing for the next holiday sales, such as Marketing & Sales Improvements Checklist & General Checklist. What after Holiday Sales? It is time to do some advanced preparations and grab the most out of the current customer base. Therefore, We have designed ‘To Do’ list for e-commerce owners. How can we help you? We know each online business is unique in nature and audience. Therefore, We have described how We are ready to extend my helping hands to the needy merchants using my expertise and experiences. What Will You Get Out of the eGuide? 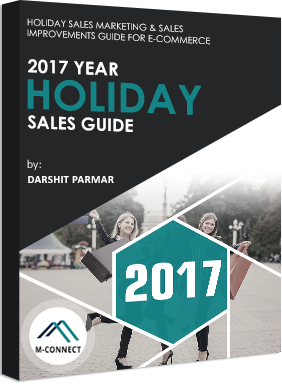 The presented eguide has designed keeping eCommerce and Omnichannel retailers scrappy to leverage the most out of the Holiday Sales 2017. The eGuide depicts a complete picture of online business of the USA during holiday seasons. It describes what much traffic and revenues come during the holiday sales. It shows sales figures and comparisons between holidays like Thanksgiving Day, Black Friday, and Cyber Monday. What is the demography of shoppers and their behavior? Where are shoppers spending their budgets and what they buy? Which are devices shoppers using? Who are influencing the shopping trends and how? What is the role of social media in holiday sales? Based on these findings and data, We have drawn highly useful and accurate conclusions for online merchants. By using my years of experiences and expertise, We have placed very useful and practically applicable suggestions to improve the performance of eCommerce and boost the holiday sales for 2017 season. We did try everything in highly comprehensive ways that any level of e-commerce merchant can understand and implement my suggestions, tips, takeaways, and hints. We also included some checklist for e-commerce owners belong to all business niches operating online. Businesses in the USA are scrappy to have a share in holiday sales. Browse a plenty of websites publishing holiday sales reports of previous years. Accumulate relevant data of holiday sales figures applicable to your niche business or retail industry by-and-large. Turn those unstructured data into comprehensive visual formats like tables, graphs, charts, and so on. Draw the fruitful conclusions based on those presentations. Now, collect the tips, hints, suggestions, and advises made by online merchants as well as experts. Extract what is applicable for you and take note of everything for future use. Without exploring the entire eGuide, you may hardly realize the significance and get anything useful for your eCommerce business to rob off the most from the current holiday season. Just download the eBook once and check it thoroughly. If you have any query regarding your eCommerce, preparation for holiday sales, and any issue pertaining to your eCommerce store design and development, pass it to me and oblige me to serve you explicitly. 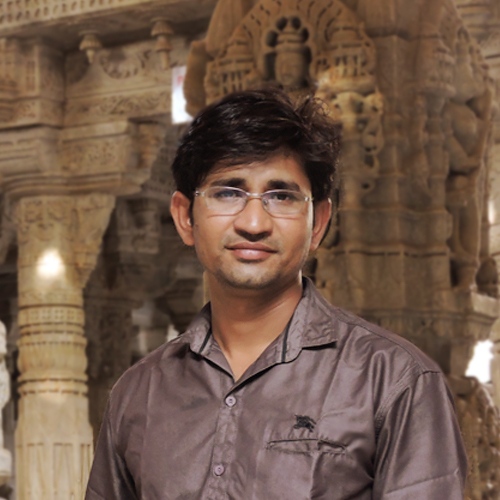 Darshit Parmar is expertise with Project Management and SEO Analyst, and shares his 10 years of experience with Ecommerce Business Owners in making their brands and business a place in their own field. Darshit is certified with Google Analytic Individual and Oracle 9i. 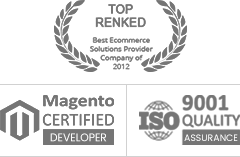 Throughout his career, Darshit has gained the experience in Magento eCommerce UI Design keeping the principles of SEO in mind. The knowledge he shares in his blogs has really helped many eCommerce Business owners in marketing their brands and businesses. He always says to his team that "There’s no shortage of remarkable ideas, what’s missing is the will to execute them."